Summer can be quite brutal, depending on where you live. Not all of us have the chance to stay inside all day long when the weather is too hot. You do need to make sure you drink enough water to keep your body going. 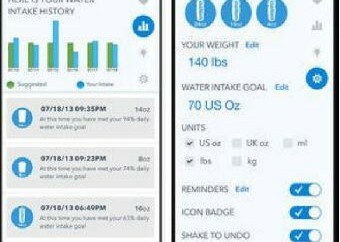 MyWater for iPhone is a handy application that helps you keep track of your daily water intake. As long as you can use your fingers to operate your iOS device, this app has you covered. 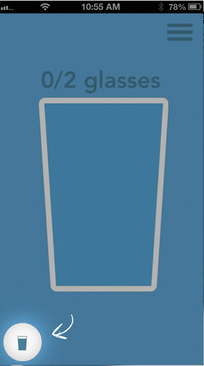 The app lets you easily choose different glass sizes on your phone. The controls are gesture-based so you can change glass sizes and add new ones with gestures. Just choose a reasonable goal, and you are set. The design is clean and easy to get used to, which always helps. MyWater does not do everything for you. You are still going to have to drink enough water each day to keep going strong. 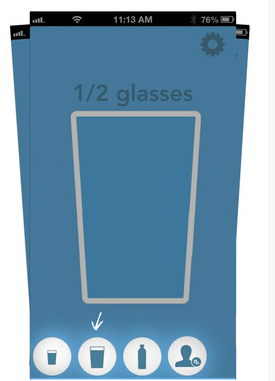 But if you tend to forget the amount you drink each day, MyWater can help your cause.